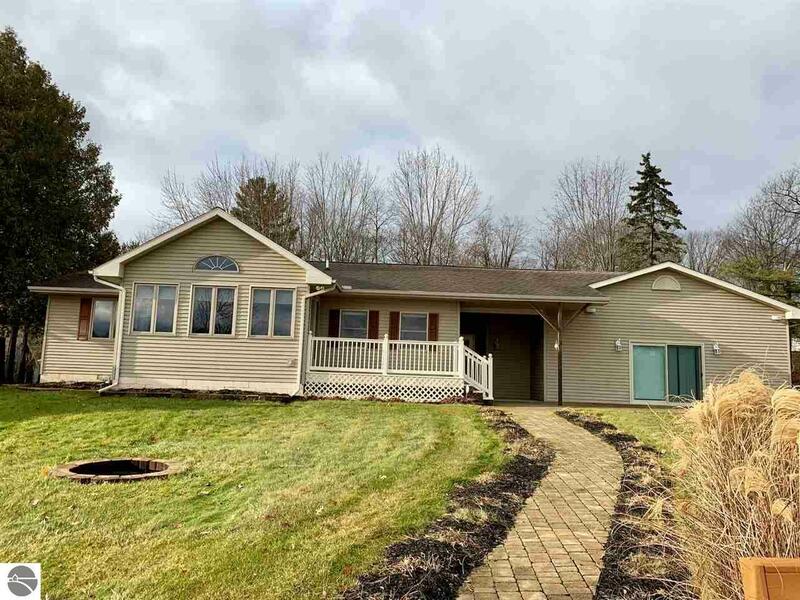 Beautiful, roomy, and immaculate year round home on Crooked Lake. Updated and adorable. Hickory wood floors throughout. Large living room with a wall of windows for an awesome view of the all sports lake. Plus a cozy, smaller living room with fireplace (NG) and knotty pine walls, all on the main floor. Large garage doubles as extra entertaining space with slider door out to brick patio. Multiple decking on this mostly level lot. Sandy beach. Sprinkler system for the lovely landscaping and lawn. ** âOtherâ room is a lovely sitting room with original fireplace (natural gas). BD4 does not have an egress window. This is a finished bunk room (sleeps 6) in the lower level. Waterfront Details: Priv Frontage (Wtr Side), Inland Lake, All Sports, Gradual Slope to Water, Public Lake, Yes, 100 Ft.